Home How Mobile Phone Gambling Has Changed The Online Betting Industry? How Mobile Phone Gambling Has Changed The Online Betting Industry? 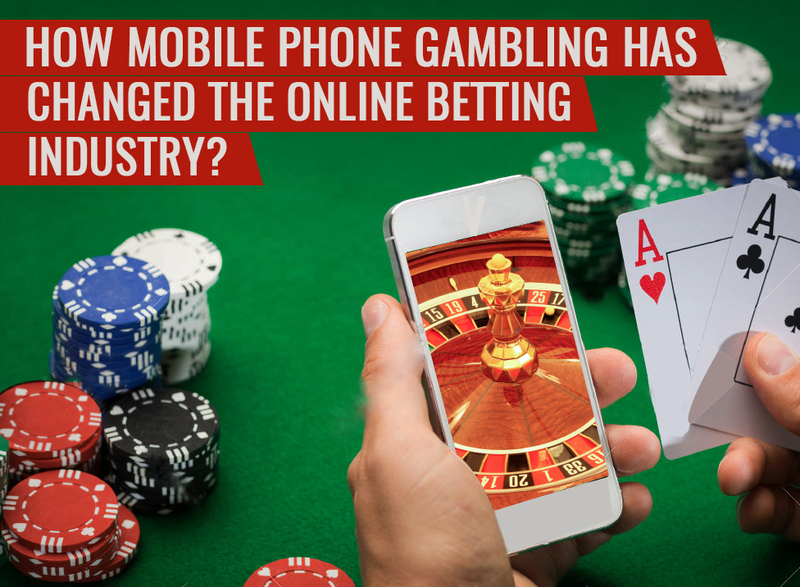 Mobile phones have completely changed the face of online gambling in the past few years. The industry has witnessed much growth in the number of mobile online gamers during this period. The continuous development of technology and increase in the use of smartphones have revolutionized the mobile phone gambling market and will continue to do so in the coming years. There was a time when online games were only accessible through specific places like online casinos which could be used from a home computer, etc. But the introduction of wi-fi and the revolution of the smartphone technology have made it possible for people to play these casino games on their mobile phones now. In response to the user demand, most of the big casinos across the globe are already offering their mobile casino services through dedicated mobile apps to smartphone users. Revolution of Mobile Phone Gambling – What caused the change? While there have been many changes in online gambling in the Last few years and many factors driving those changes, the most significant reason behind this revolution is the surge of smartphone users. The mobile devices have made it easier for users to access the internet from anywhere and anytime, thus giving casino operators an opportunity to spread their reach to these users. This is the main reason why the mobile casino and mobile sports betting industries have witnessed so much growth in the recent years. 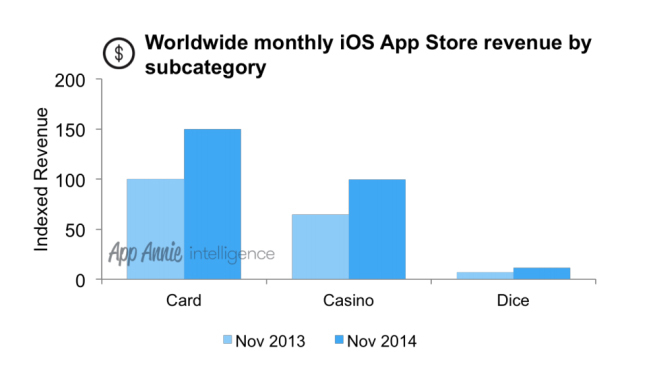 According to a market research conducted by App Annie, an app analytics company, the number of iOS-based mobile gamblers increased by 55% from November 2013 to November 2014. As per the latest statistics, more than 35 million users are engaged in online gambling in one way or another. The mobile gaming, which started as social gaming, has now been legalized by many countries and opened to real money. The revenue of the mobile betting industry alone is in billions, and it has seen a continuous growth in the past ten years or so. Deloitte, a US-based auditing company, found in a research that more than 35% of all online gamblers use their mobile devices to play. Australia, Canada, Ireland, the UK, the US and Italy are some of the leading countries in terms of online mobile gamblers. Another major reason behind the growth of mobile phone gambling is the popularity of social gaming. Many consumers, who are already playing some kind of social games through their app stores, social media accounts and other platforms, are offered real-money based casino games by operators through these free social gaming applications. Mobile devices have brought significant changes to the gambling industry by making the process easier, faster and more convenient for the users. Check out some of its advantages below. Mobile devices are redefining the user experience by providing a more sophisticated and easier way for playing online casino games. Combined with the right technology and services, the gambling industry is successfully managing a very large user base coming from mobile devices. Smartphones have made it much simpler for users to access and play their favourite games anytime from anywhere. This not only improved the user experience with these online casinos but also it has resulted in driving the considerable growth of the industry as well. The surge in mobile gamblers is a clear indication that the users prefer to browse through and play these online casino games on their mobile and tablet devices. Mobile gambling has also played a great role in changing the attitude of common users towards online gambling. Since it is now easier than ever to play these games while doing other tasks on mobile phones, more and more users are getting benefit from it. Furthermore, these devices allow users to play in any setting, such as multitasking in collaboration with other services. But it has also created a challenge for service providers to implement more and better facilities to get the attention of their users. Mobile gambling which started as social gambling has played a big role in driving more adult users to this gaming environment. People started playing these social games with other online users, and soon they were playing for real money. This has done well for both the users and the service providers. Millennials, as you probably know, has been a very difficult industry for online casinos to reach with traditional methods. But the online gambling is changing the tables now. Most users have already replaced their desktop computers with advanced and more convenient mobile devices. And those who haven’t yet are also set to go mobile exclusive in the near future. Many of these users are also serious gamblers who are nothing but grateful that they are being given the choice of playing their favourite casino games exclusively on their smartphones. The users of mobile devices have already exceeded desktop users a long time ago, and this growth is clearly depicted in the development of mobile gambling industry. Inspired by this trend, many casino service providers have started mobile-exclusive gambling services to their users. Mobile applications are all about technology, and a perfect gambling app is incomplete without the implementation of the latest and right technology means. The increased expectations of users for better technical aspects have prompted service providers to provide high-quality services through the best experts in the industry. The competition has also forced these online gambling companies to keep updating their apps with the right features to maintain the interest of the end-user. This, in turn, benefits the user in the form of better mobile gambling apps. Online gaming is here to stay, and it should not come as a surprise if we see most online gamblers using these services through their mobile phones. Mobile devices have made it easier, cheaper and convenient to play online casino and card games for the user, and everyone likes it. Now, it is up to the services providers how effectively they handle the growing demand of better casino mobile apps by providing technologically-advanced services for improved user experience.